Click on the link below to view a list of members for the Himalayan Brotherhood in Simla from 1838-1927. The information below has been taken from a notebook dated 1833. 1833 Officers & Members of the Provincial Grand Lodge of Free & Accepted Masons, on the Coast of Coromandel under the Constitution of the United Grand Lodge of England. M.W.B. Sir Herbert Compton - P.G.M. R.W.B. George Lys - D.P.G.M. W.B. J. Scott - P.J.G.W. W.B. Edward Gordon - P.G. Treasr.& P.G. Sec. W.B. T.M. Lane - P.S.G.D. W.B. AE.R. McDonell - P.P.S.G.W. W.B. 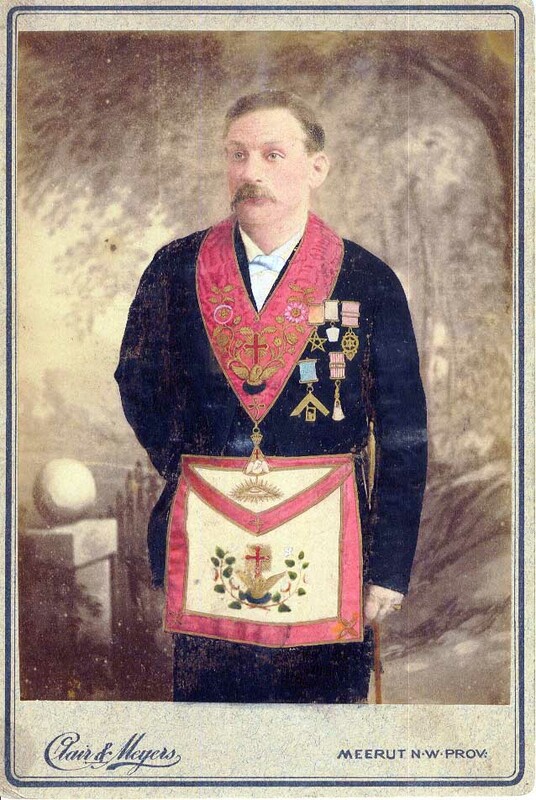 E.F. Elliot - P.P.J.G.W. W.B. A. de Babick - P.P.G.T. W.B. J. Hanson - P.P.G.S. Lieut. Genl. Sir T. Hislop, Bt. Sir Herbert Compton, Kt - Grand Patron. President . The following information has been taken from a document kindly sent to me by Geoff Dane regarding the installation of his Great Grandfather Alexander L.G.S. 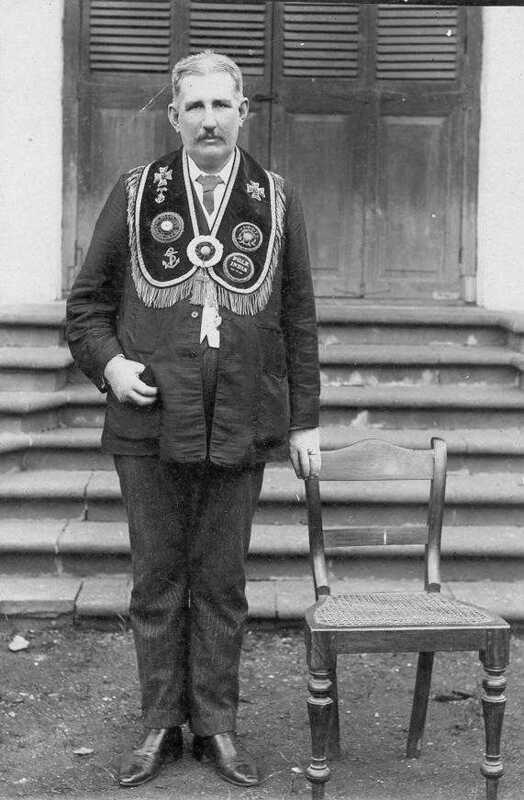 Irving as Master Elect in Bombay in 1922. Installation of the Rt. Wor. Master Elect. Wor. Bro. Alexander L.G.S. Irving. Masonic Hall, Ravelin Street, Fort Bombay.